New research suggests that the very oldest pieces of rock on Earth — zircon crystals — are likely to have formed in the craters left by violent asteroid impacts that peppered our nascent planet, rather than via plate tectonics as was previously believed. Rocks that formed over the course of Earth’s history allow geologists to infer things such as when water first appeared on the planet, how our climate has varied, and even where life came from. However, we can only go back in time so far, as the only material we have from the very early Earth comes in the form of tiny, naturally occurring zircon crystals. Naturally then, the origin of these crystals, which are approximately the width of a human hair and more than four billion years old (the Earth being just over four and a half billion years old), has become a matter of major debate. Fifteen years ago these crystals first made headlines when they revealed the presence of water on the surface of the Earth (thought to be a key ingredient for the origin of life) when they were forming. Ten years ago, a team of researchers in the US1 argued that the ancient zircon crystals probably formed when tectonic plates moving around on the Earth’s surface collided with each other in a similar fashion to the disruption taking place in the Andes Mountains today, where the ocean floor under the Pacific Ocean is plunging under South America. However, current evidence suggests that plate tectonics — as we know it today — was not occurring on the early Earth. So, the question remained: Where did the crystals come from? Recently, geologists suggested these grains may have formed in huge impact craters produced as chunks of rock from space, up to several kilometres in diameter, slammed into a young Earth. To test this idea, researchers from Trinity College Dublin decided to study a much younger impact crater to see if zircon crystals similar to the very old ones could possibly have formed in these violent settings. 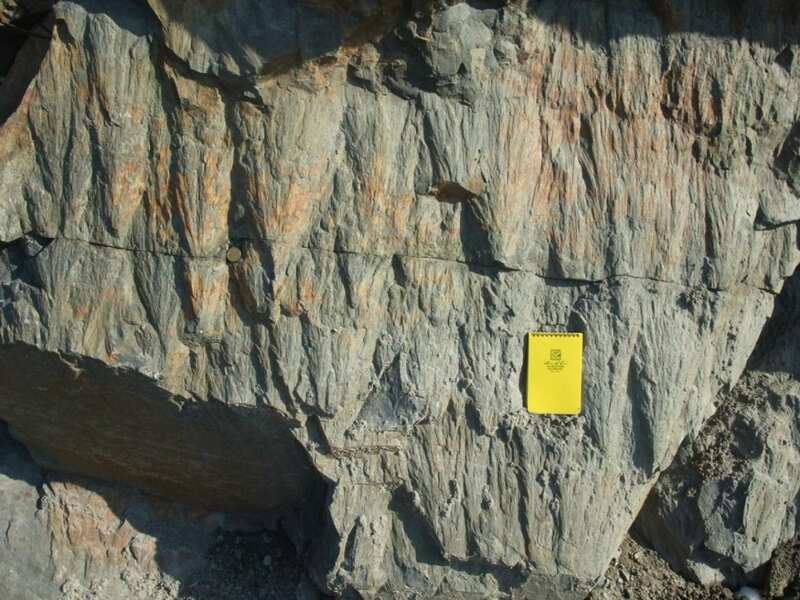 In the summer of 2014, with the support of the Irish Reseach Council (IRC) and Science Foundation Ireland (SFI), the team collected thousands of zircons from the Sudbury impact crater, Ontario, Canada – the best preserved large impact crater on Earth and the planet’s second oldest confirmed crater at almost two billion years old. After analysing these crystals at the Swedish Museum of Natural History in Stockholm, they discovered that the crystal compositions were indistinguishable from the ancient set. PhD Researcher in Trinity’s School of Natural Sciences, Gavin Kenny, is first author of the article which explains these findings, and which has just been published in leading international journal, Geology. Gavin Kenny recently travelled to the annual Lunar and Planetary Science Conference (LPSC) in Houston, Texas, to present these findings to the space science community.